Flamingoat animation ball and socket armature. Finished Flamingoat puppet with removable wing. Lare scale Flamingoat hoof used for close ups. Flamingoat puppet on set at Clapham Road Studios. 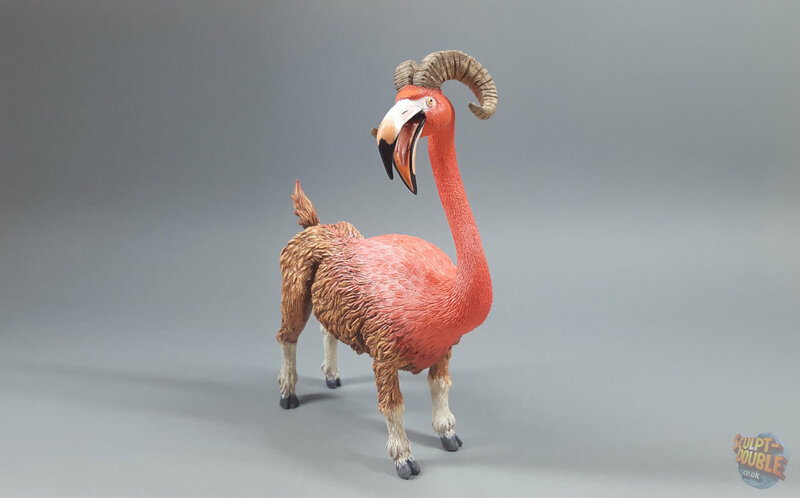 Working with Sam Holland, I was given the task of fabricating an articulated ‘Flamingoat’ character for a Colorado Lottery stop motion commercial. This involved sculpting, moulding, armature making, casting and painting the Flamingoat puppet and an large scale hoof used for close ups.